Those darn Klingons are out to conquer a new world in an alternate universe, but don't worry Captain James T. Kirk and the crew of the Enterprise will save the day. This was a really good crossover, the whole time you want the Enterprise to help Colonel George Taylor but it's like "The Prime Directive" is in the way. 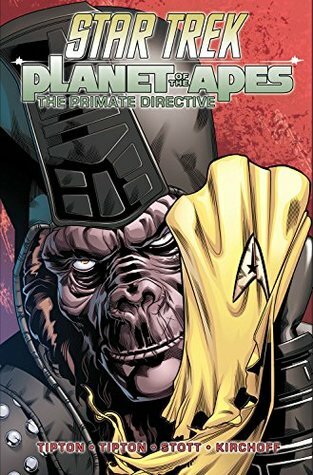 I was hooked, the art is great; the highly detailed apes. If you love the idea of apocalyptic futures and space travel you'll love this one.